False bottoms are used to convert coolers, Kettles and plastic buckets into mash/ lauter tuns. 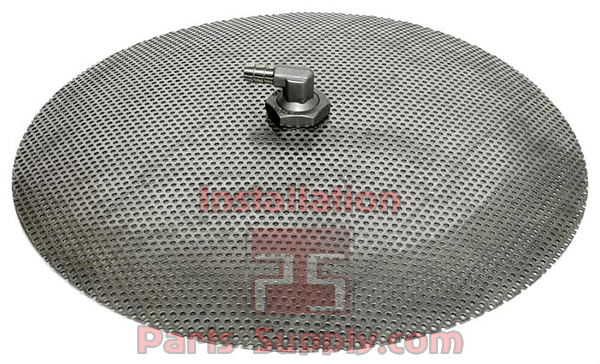 Constructed from 304 stainless steel these false bottom's will not float. 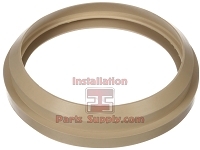 Dome height is 1/2" for the 9", 10" , and 12" diameter false bottoms. 9", 10" , and 12" Comes with a 3/8" barbed 90° stainless steel elbow hose fitting in the center to draw the wort from beneath the dome. Made from stainless steel with 3/32" perforated holes on 5/32" centers. The barb fitting is 3/8" inch. See Related Items below for a connector for your Domed False Bottom; connects to the 3/8" Barb on one side and your valve on the other end.